Terminal 1 at LAX airport now offers a Rockin’ fun experience before and after a flight on Southwest Airlines. On March 1st they opened the phase 1 portion of their renovated terminal that has been undergoing $508 million in renovations. Crews’ was at the ribbon cutting ceremony, along with the V.P. 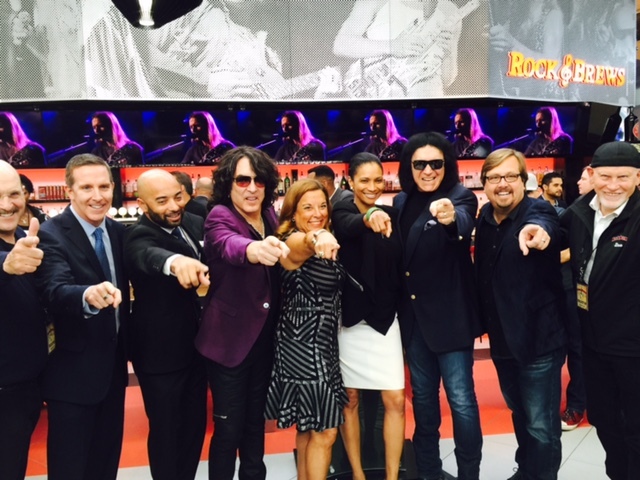 of Development for Westfield Keith Kaplan, Rock Stars Paul Stanley and Gene Simmons. Restaurateur and hospitality expert Michael Zislis and representatives from the City of Los Angeles and LAX airport joined the rock stars. Crews’ currently has retail locations located in terminal 1 and Tom Bradley International Terminal. From 2009 Crews of California’s news & gift locations produced the highest grossing sales per square foot of any news & gift operator at LAX. This esteem team of retail experts were excited to unveil six new outlets to enhance travelers airport experience. Walking through security, I noticed the lounge area has improved and the baggage claim area received a face lift too. 1.be relax – Offering wellbeing and relaxation services in 10 minutes or more in a relaxing spa boutique setting. The spa boutique sells a wide range of well-being, facial products, massage accessories and travel accessories to make airplane trips comfortable. While waiting for your flight enjoy a chair massage, manicure/pedicure or anti-jet lag facial. 2. 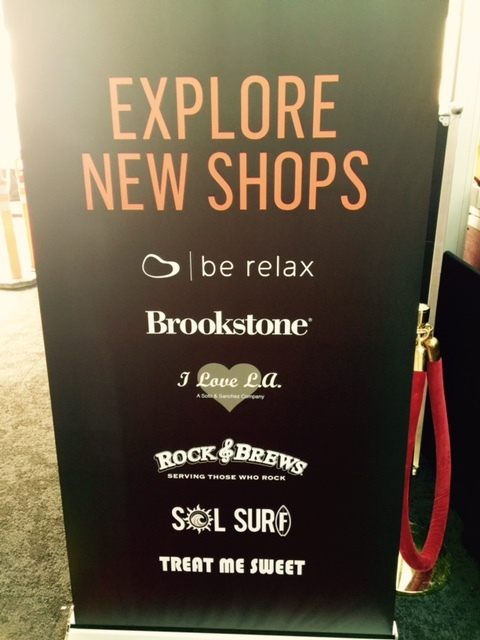 Brookstone – Started out in the 1960s as a hard-to-find, but useful items and tools boutique. 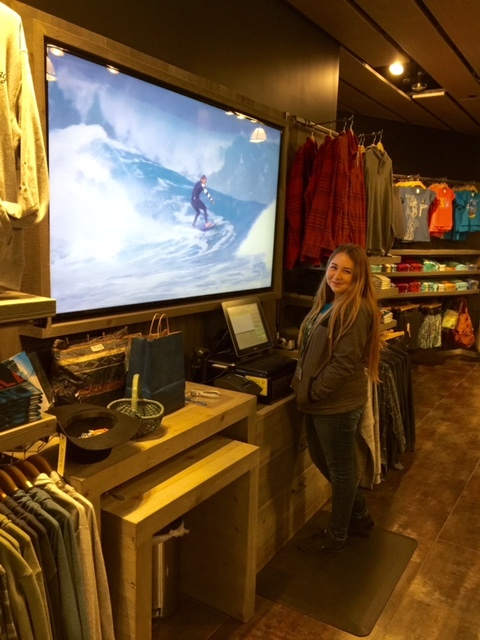 Today, the store operates over 300 locations in the U.S. and Puerto Rico. 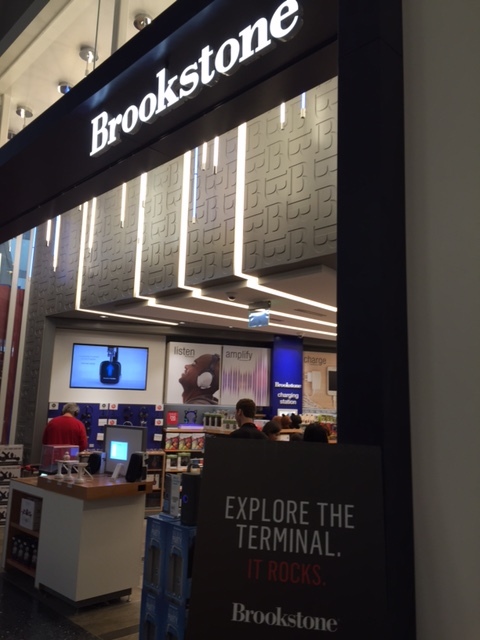 Brookstone stores sell games and toys, travel accessories, bath and spa items, electronics, bedroom products, massage tools, and specialty gifts. The store also offers patrons the chance to try out every product before buying. 3. I Love LA is filled with fun items to purchase for yourself to enjoy on your flight or to give to those you are about to see at your destination. Kids love this store. 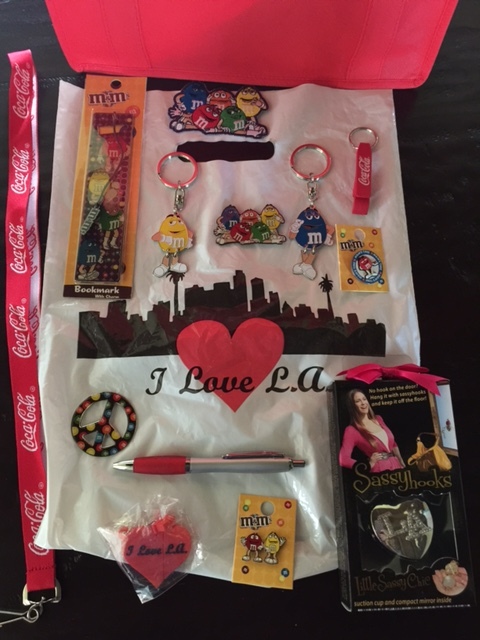 It’s colorful and filled with I Love LA items. Soto & Sanchez is the foundation which started I Love L.A. Owned by siblings-two sisters and two brothers – They opened their first I Love L.A. in 1994. They now have three stores at LAX. 4. 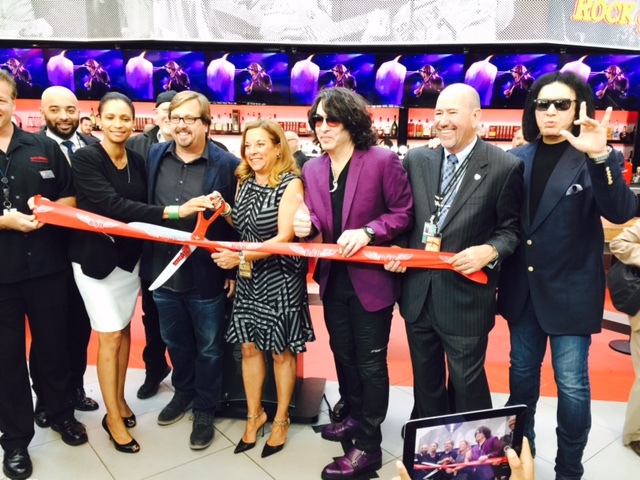 Rock & Brews – Rock and Roll Hall of Fame Gene Simmon and Paul Stanley of the mega rock band KISS partnered with Michael Zislis and Dave and Dell Furano in 2012 to open their first Rock & Brews. Today, they opened their 15th location. South Bay restaurateur Michael Zislis with Zislis Restaurant Group (Shade Hotel, Rock N’Fish, The Strand House and Rock & Brews) is an expert at luxury hospitality and inspirational restaurants. Travelers can pick up a rockin’ meal to go from the Rock & Brews’ “Grab and Go” section or get a table in the rock-inspired setting and dine-in. Menu items include breakfast items with a variety of frittatas served with a choice of toast; Benedicts; croissant breakfast sandwiches, Greek yogurt bowl and more. Before your flight sip a Creole Bloody Mary or Guava bellini, while enjoying in the rock-inspired environment. Lunch items range from a multitude of Craft burgers, VIP salads, Headliner sandwiches, Front row pizza, Opening Act appetizers and RB Specialties with tacos, grilled tri tip and hot dogs. Rock & Brews at Terminal 1 is open from 5 a.m. to 11 p.m. daily. 5. Sol Surf – Offering the quintessential quality surf wear and lifestyle items from the Southern California brand, an airport first. This is a go-to spot to purchase a new outfit for yourself or gift for the person waiting your arrival. 6. 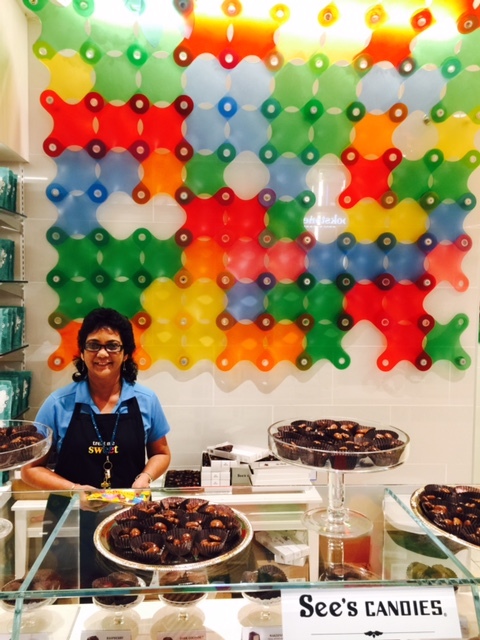 Treat Me Sweet – See’s Candies are featured inside Treat Me Sweet. See’s Candies is a California candy and chocolates company making sweet treats with no added preservatives. Many say it’s the best chocolate and candy in America. See’s is famous for 90+ years of deliciousness and friendly customer service. Get a bag of treats to satisfy your sweet tooth before or after a Southwest flight.